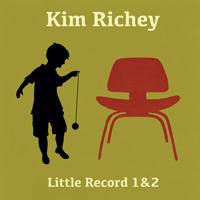 Those artists who find themselves stuck in the deepest of ruts two decades into their careers could learn a thing or two from veteran singer-songwriter Kim Richey. She's never been afraid to go where the inspiration is. 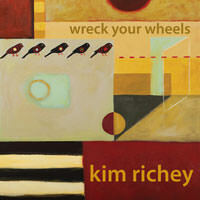 Two-time Grammy-nominated Kim is a storyteller; a weaver of emotions and a tugger of heartstrings. Tender, poetic and aching with life's truths, Kim's songs transport you to her world, where words paint pictures and melodies touch the soul. And then there's her voice. Pure, arresting and honest, it makes you take notice; Kim has the kind of voice where if emotions were ribbons, they'd be streaming in rainbow colours from your iPod. 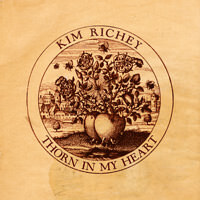 Early on, the Zanesville, Ohio native thrived on the progressive side of mainstream country, her albums (1995's Kim Richey, 1997's Bittersweet and 1999's Glimmer, all on Mercury) showcasing twang-pop sensibilities, a rich, rounded vocal tone and effortlessly sophisticated songwriting that other discerning performers - Radney Foster, Trisha Yearwood and Pam Tillis to name a few - coveted for their own recordings. 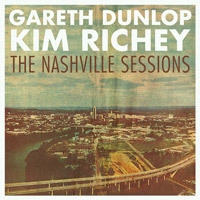 In the years since, Kim has made her subtly psychedelic album Rise (Lost Highway) in Los Angeles with producer Bill Bottrell, flown to London to enlist the help of Giles Martin and emerging with the crisply orchestrated Chinese Boxes (Vanguard) and turned to her East Nashville-based bandleader and frequent co-writer Neilson Hubbard to conjure the earthy indie-pop feel of Wreck Your Wheels (Lojinx) and to complete her latest masterpiece of smart, sensual understatement Thorn In My Heart. The array of top-tier guests on the album include Jason Isbell, Wilco's Pat Sansone, My Morning Jacket's Carl Broemel, Will Kimbrough and Yearwood, who was, for the first time, returning the harmony-singing favor. And the dozen songs themselves show that Richey's still dreaming up fetching melodies that arc and bend in unexpected ways, and still discovering fresh angles from which to articulate matters of the heart. 01 Oct 2013 California, we’re coming to you! 01 Nov 2012 december in the u.k.
Inserisci il tuo indirizzo email per Kim Richey notizie e aggiornamenti correlati.